A girl enjoys serving this earthy, sweet and tangy combination. This is a great option for a winter-time weeknight dinner. The meal is light, healthy, flavorful, comforting and has an impressive aroma. You can make the delicious and easy salad as a great meatless main course (add walnuts/candied walnuts for additional flavor and texture). or you can use an immersion blender to mix. Place chicken and marinade in a Ziploc storage bag and refrigerate for one hour. 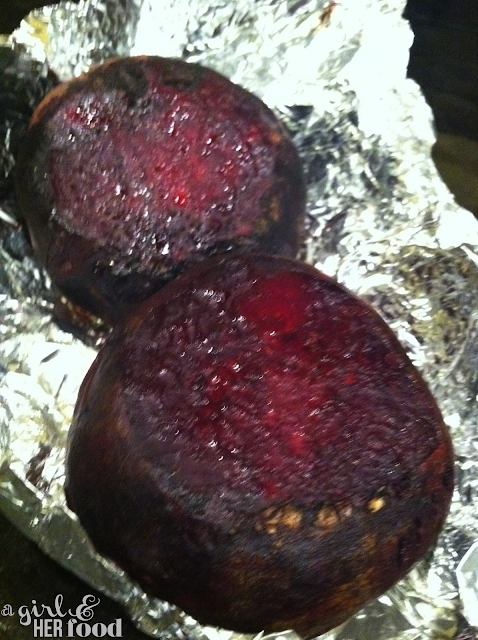 While the chicken is marinating, it’s the perfect time to begin roasting your beets (How to roast beets). After the chicken has marinated, preheat oven to 400 degrees. Transfer chicken along with the marinade from the bag to a baking dish. Bake chicken for 30 minutes or until thermometer reads 160 degrees and remove from oven. While the chicken is in the oven you can prep and plate the salad. Arrange spinach on plate. In a small bowl, whisk together olive oil, balsamic vinegar, and lemon juice. Season to taste with sea salt and fresh ground pepper. Place and arrange beet pieces on spinach. Sprinkle goat cheese crumbles on top. Drizzle with the dressing. Season to taste with sea salt and fresh ground pepper. The Youth Magazine is India's Biggest Youth E-Magazine and Youth Media Brand, Portal Community broadcasting latest news, humor, entertainment, stories.